Eat yourself alive, September 28th will hold host to an evening of delicious entertainment. Hollywood legend Brian Cox will be coming to Birmingham’s Custard Factory to attend the next epic Back to the Theatre event. Previous to this BttT have held both an 80’s cult classic evening holding screenings of ‘Return of the Living Dead’ and ‘Re-Animator’ with Graham Humphries and Don Calfa. More recently a ‘Hellraiser’ showing with the Cenebites showing themselves to the public. Not only will Hannibal be in attendance to the screenings of both sophisticated cannibal shocker ‘Manhunter’ but also Halloween cult favourite, ‘Trick r Treat’. Sponsored by the UK’s best horror mag, Shock Horror with writers and cameras coverage of the event. 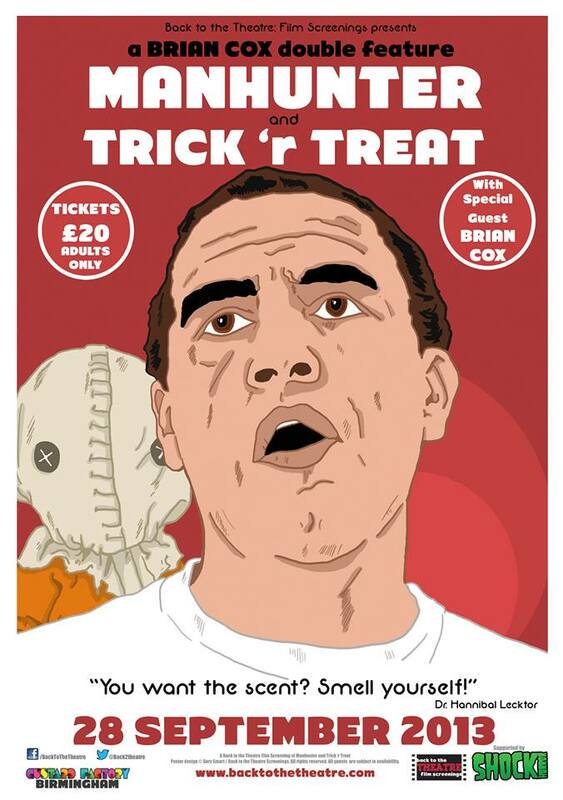 Tickets are available for a limited time and won’t be around for long so grab your Cianti and candy for what will be a tasty evening.